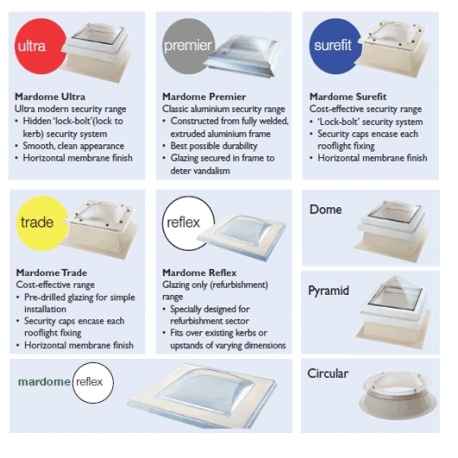 Mardome - Dome Rooflights are the safe and secure choice for providing natural daylight into buildings. The domes are moulded from premium quality polycarbonate flat sheet, offering an impact resistance 200 times that of glass. 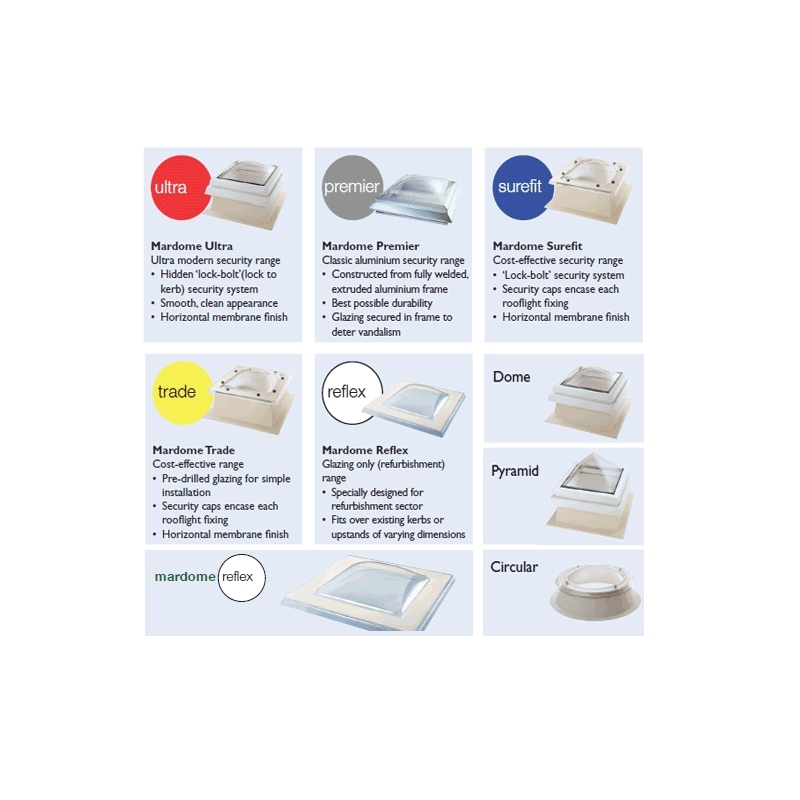 Mardome rooflights are available in either a Curved dome or Pyramid profile. 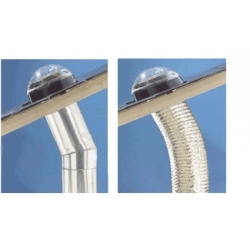 Both profile options offer the same benefits and can considerably enhance the aesthetics of a building. Both the curved and pyramid dome come in a comprehensive range of sizes.